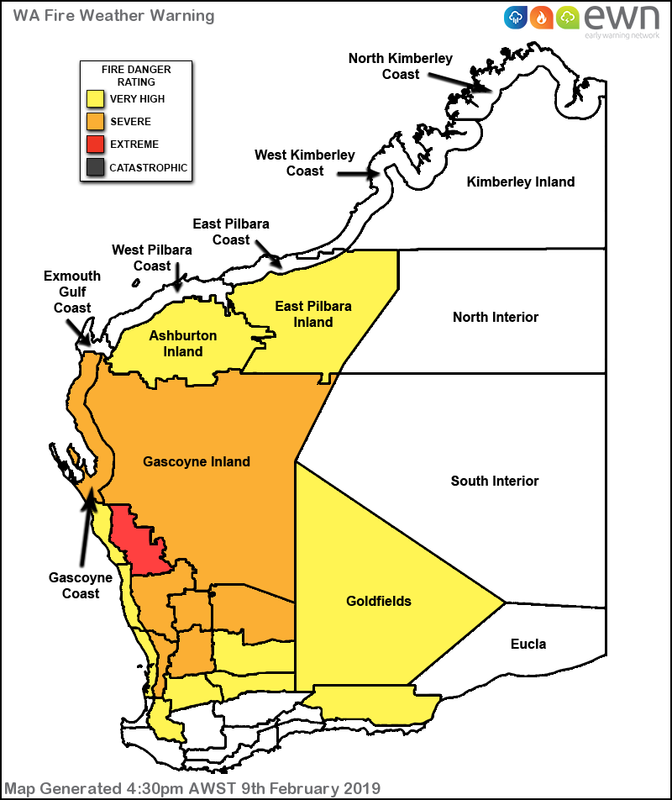 Fire Weather Warning for the Gascoyne, Inland Central West, Lower West Inland, Mortlock, Ninghan and Avon fire weather districts. Issued at 3:01 pm WST on Saturday 9 February 2019. Very hot conditions expected with fresh and gusty northerly winds, tending west to southeasterly in the afternoon and evening.